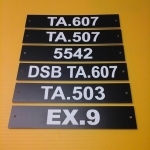 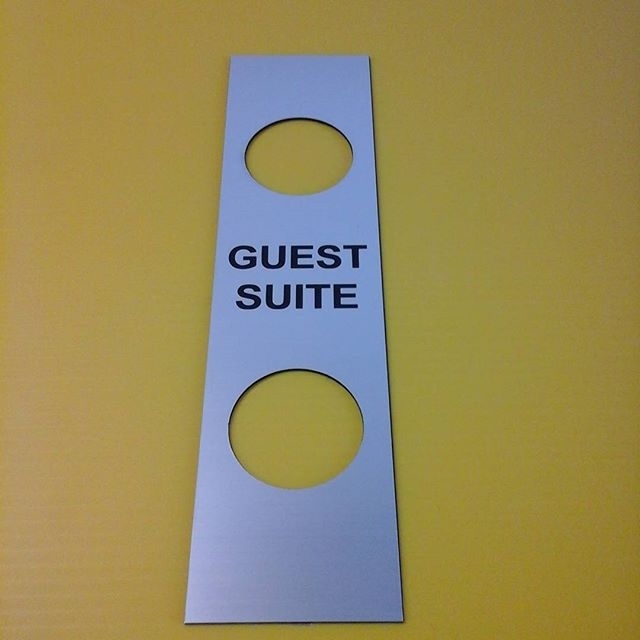 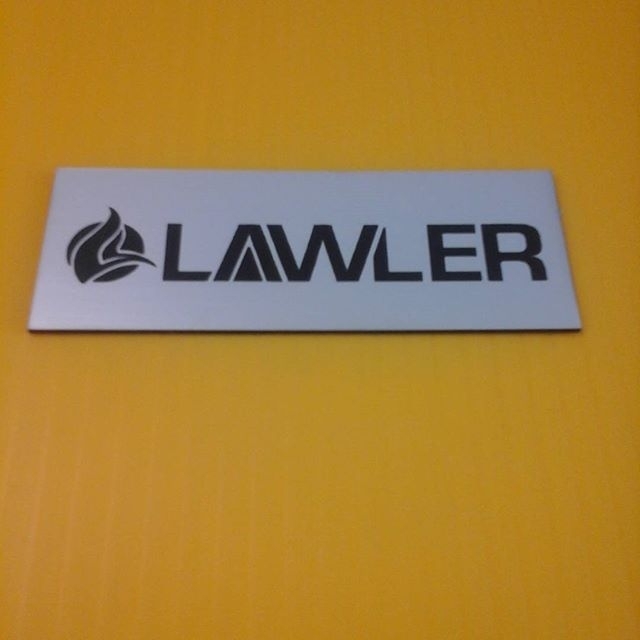 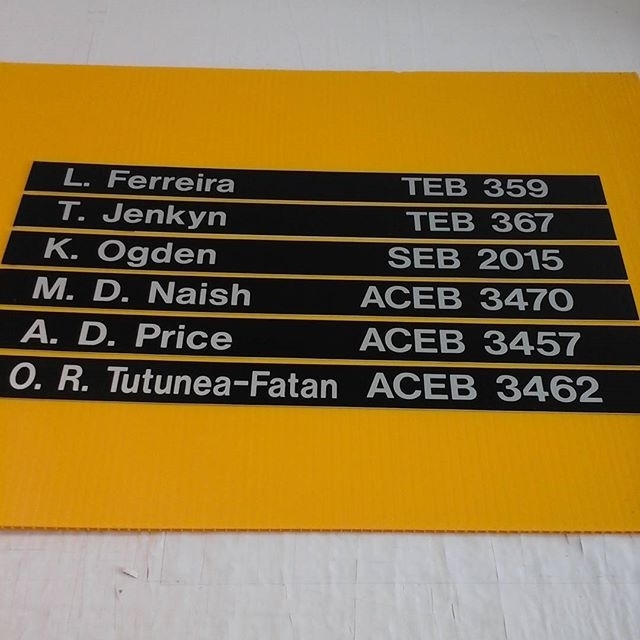 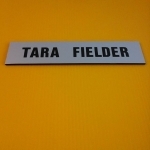 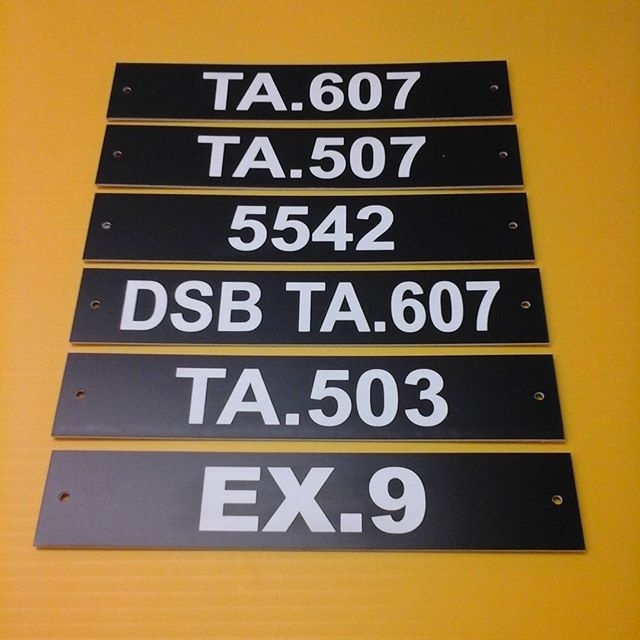 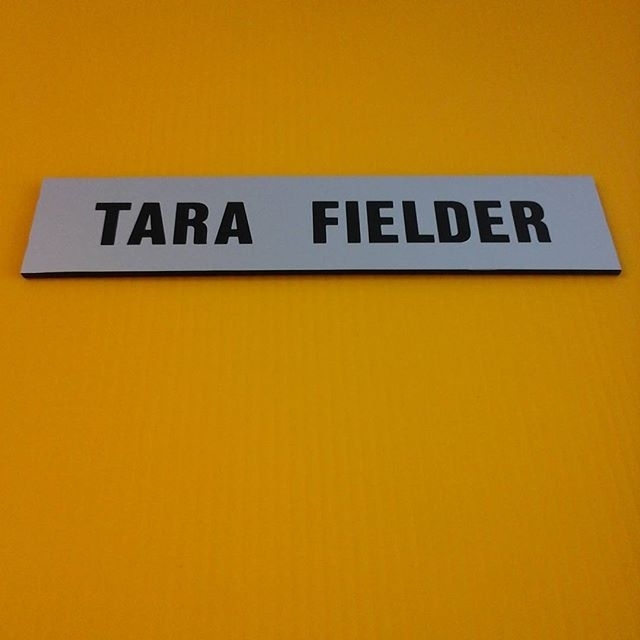 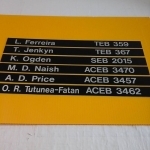 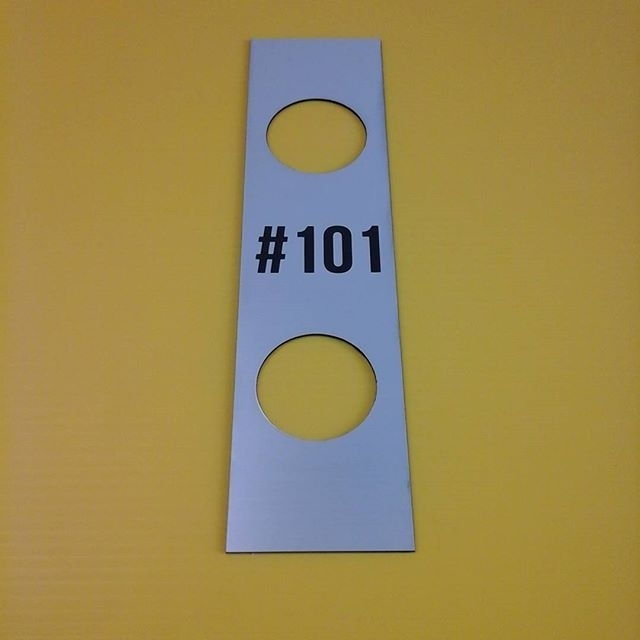 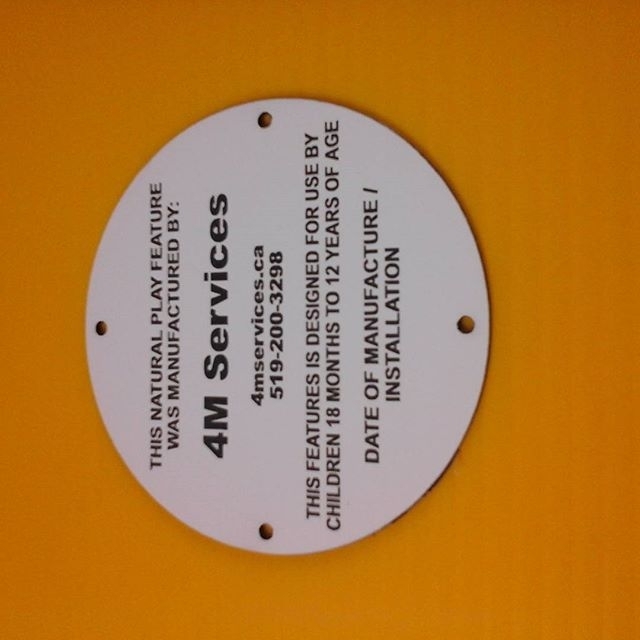 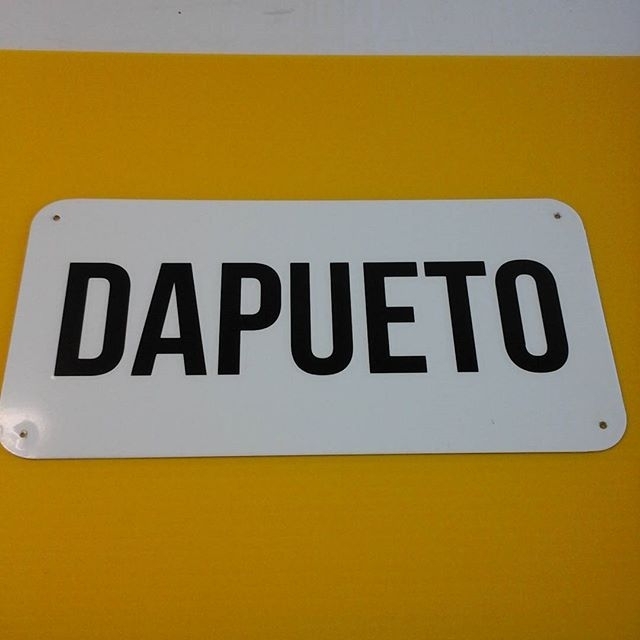 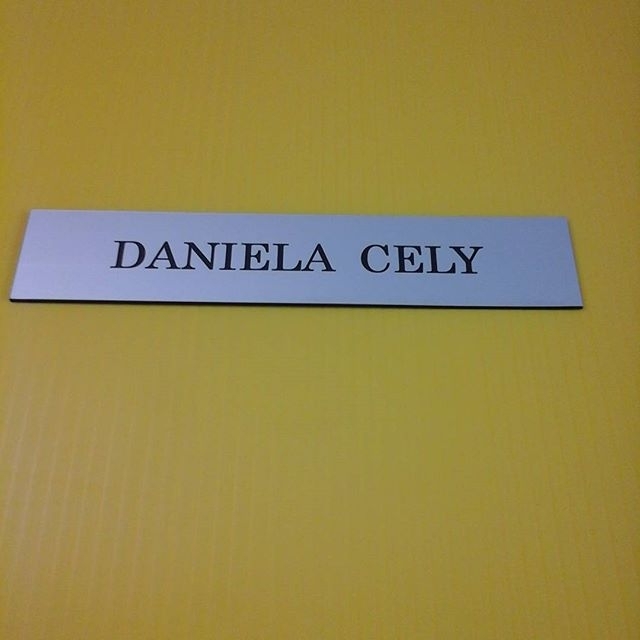 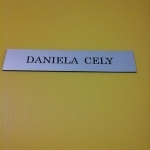 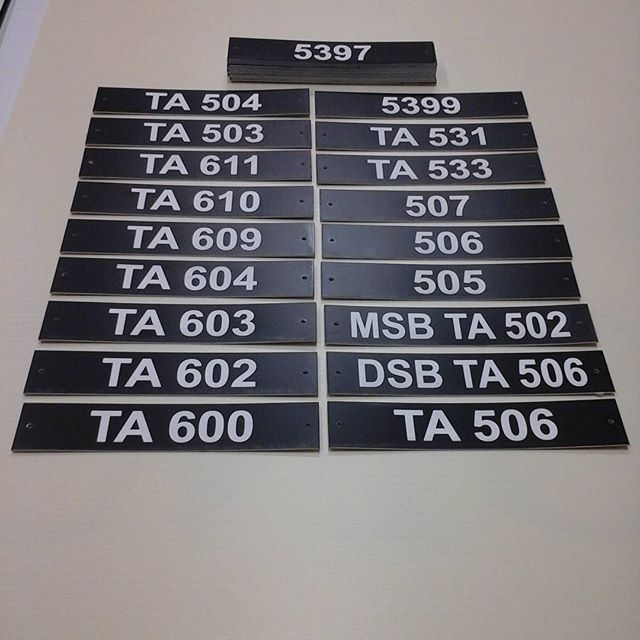 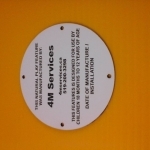 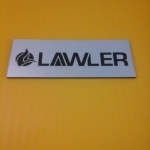 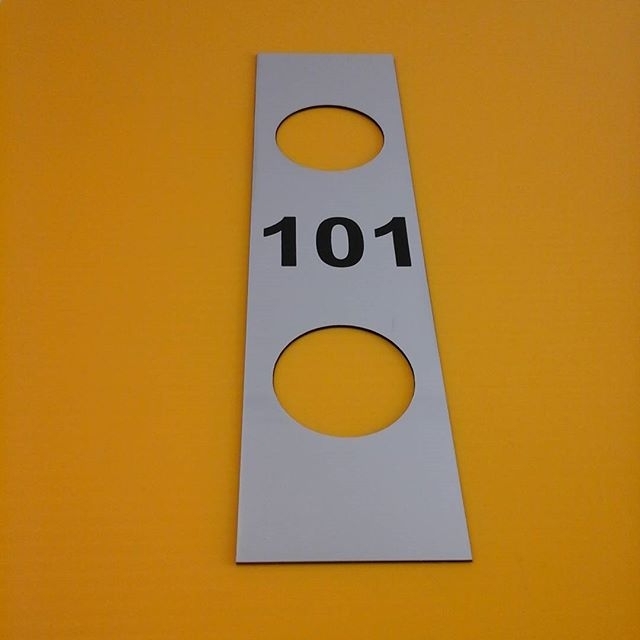 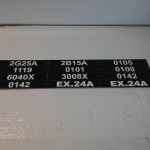 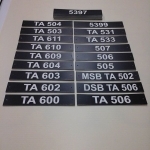 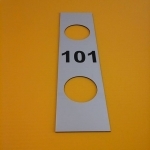 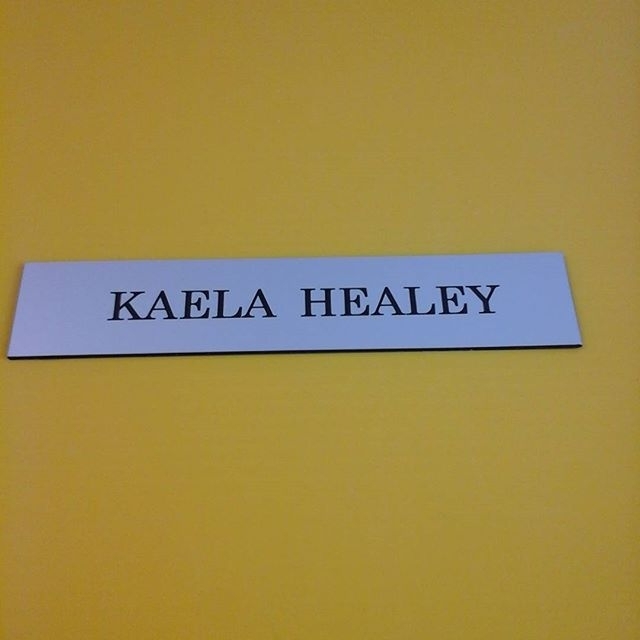 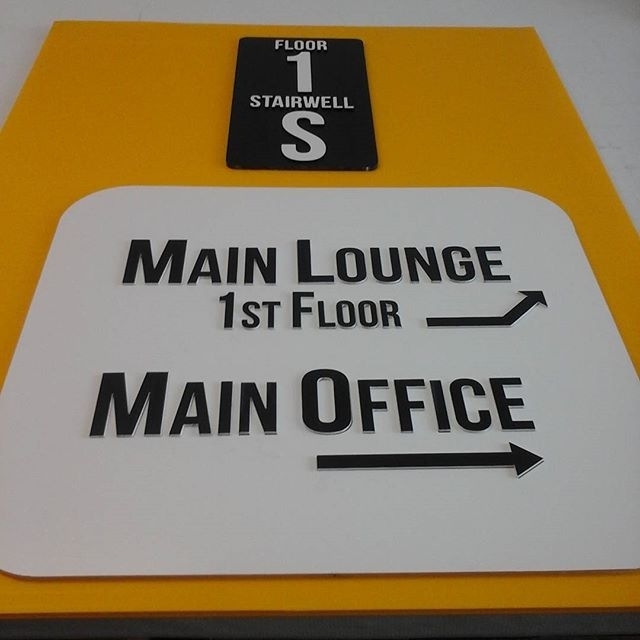 Laser Engraved Acrylic Signs are suitable for wayfinder, door nameplate and applications requiring a superior feel. 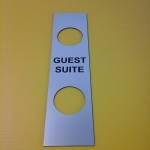 Please fill out contact form with your order details and we will help you with your quote. 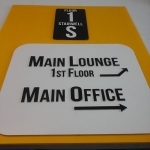 Laser etches out the acrylic sheets for indoor or outdoor use, including adhesive backing or holes for mounting. 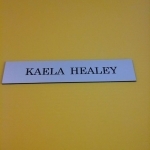 Laser Name Badges come with clips on the back. 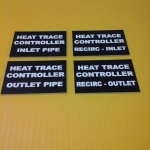 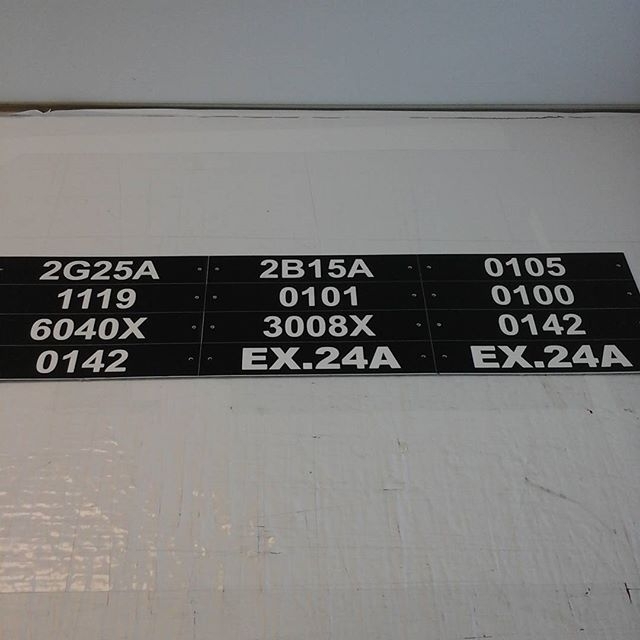 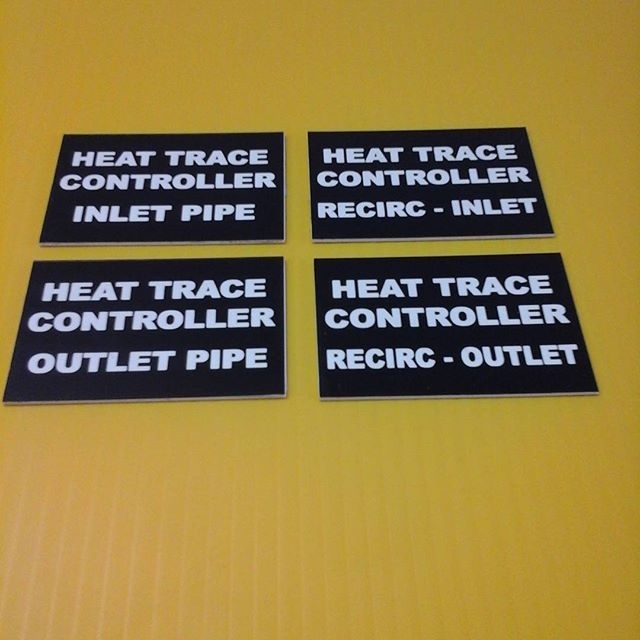 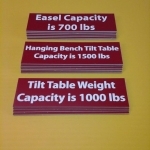 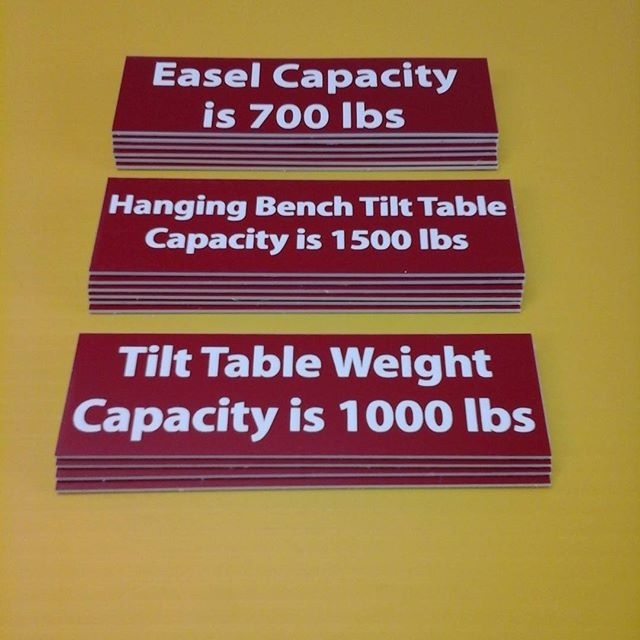 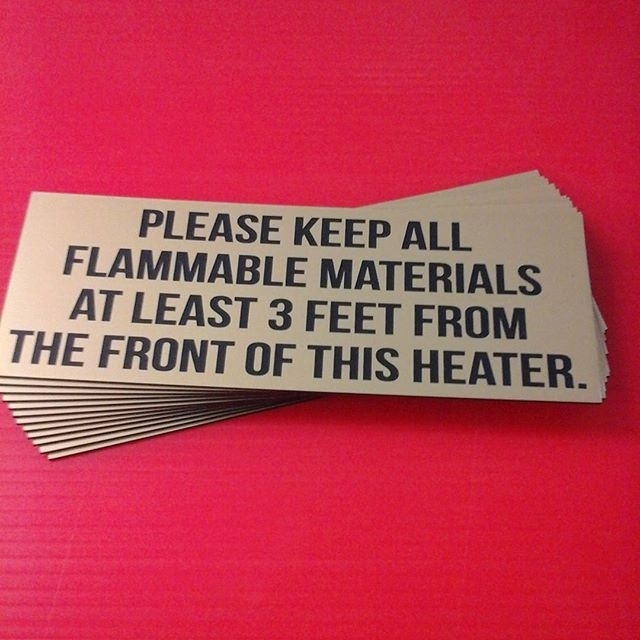 Laser Signs are popular for many applications. 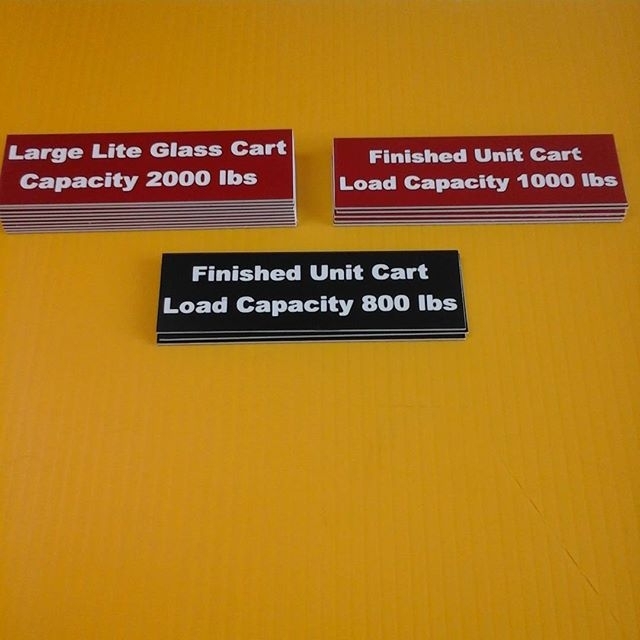 One recent customer opted for laser tags for labeling their industrial machinery, proving to be a more durable application than decals in case of accidental abrasion or impact. 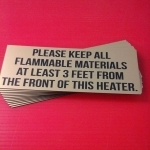 Check out our Gifts Engraved page for ideas on other laserable items. 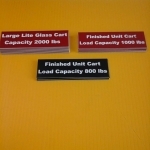 Laser Tags are durable labels of engraved acrylic suitable for factory environments. 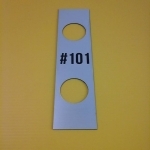 Another alternative for labeling your equipment is Adhesive Vinyl Decals which you can find here.